The boost of opportunities offered by the VTC has led to the creation of Golden Transport. This company aims to drive its customers on medium / long-term journeys for depots or departures from airports, trains and other similar trips. The launch of a business is often a phase where the relationship is in place ... The presence on the internet is not always a priority for everyone. Indeed the young company Golden Transport has decided to focus first on the relationship and word of mouth. For this paper is still a very effective strategy. 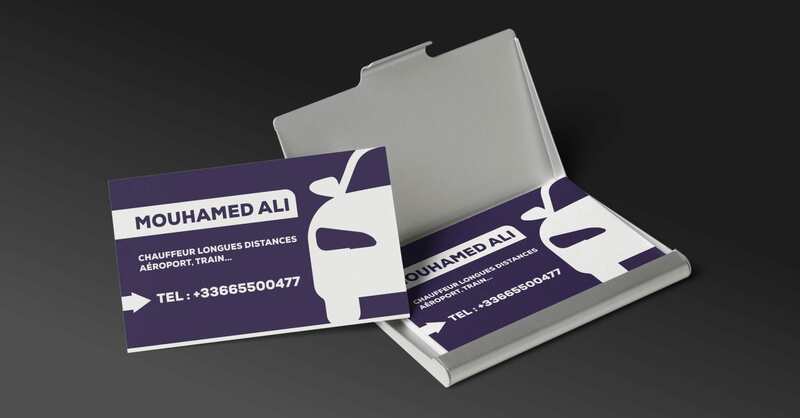 So we decided to create together a first business card, more in order to launch quickly, putting in a second time in project a comprehensive support of its brand. So we decided to create a one page and analyze the returns to decide whether or not to continue by developing a bigger concept around.